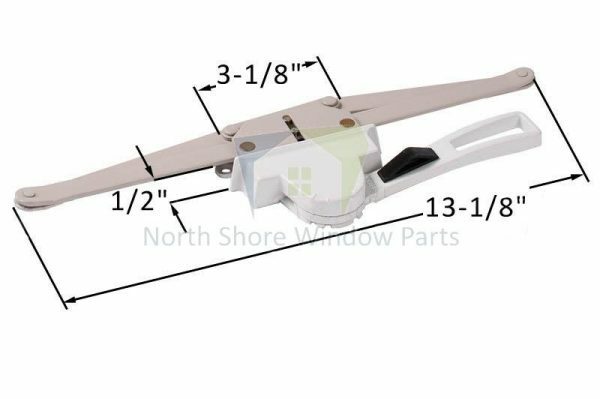 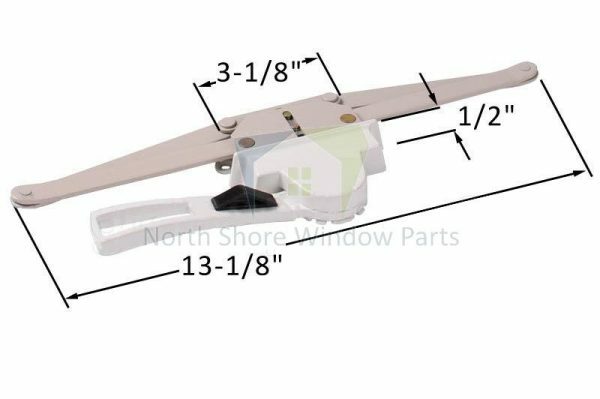 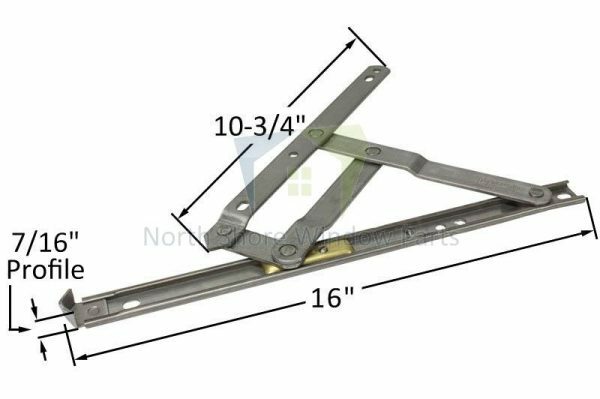 The 13 Series Awning Hinges are composed of E-Gard coated steel tracks and support arms with an acetal shoe including a stainless steel insert. 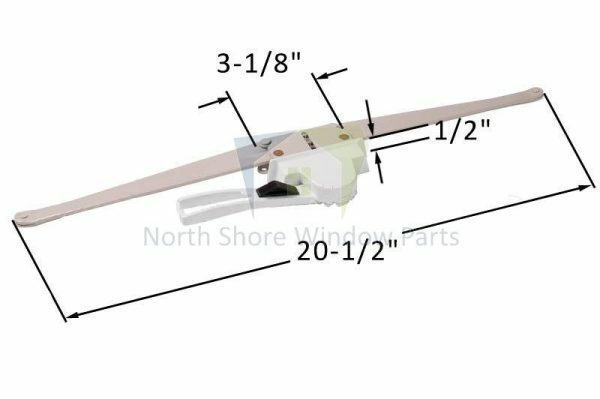 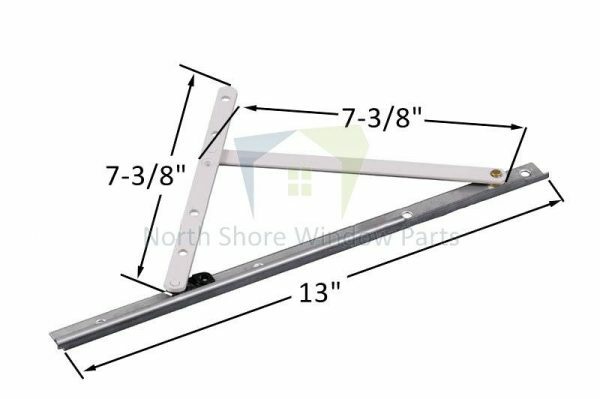 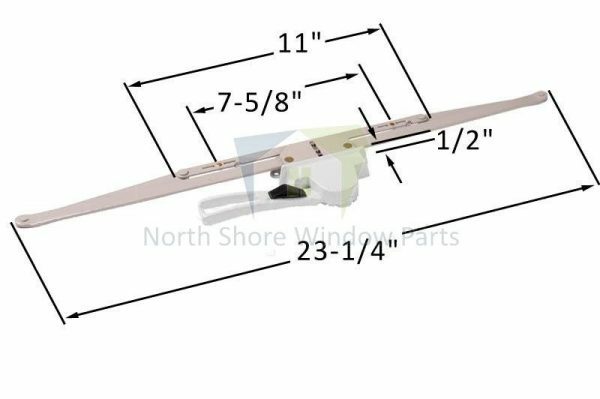 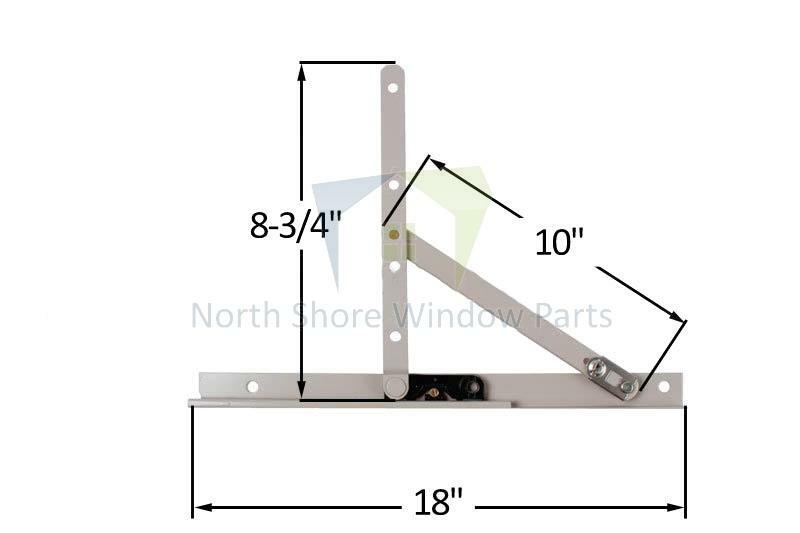 The #13.15 is a 18″ long hinge that is recommended for sash heights from 19″-26″ weighing up to 38 lbs. 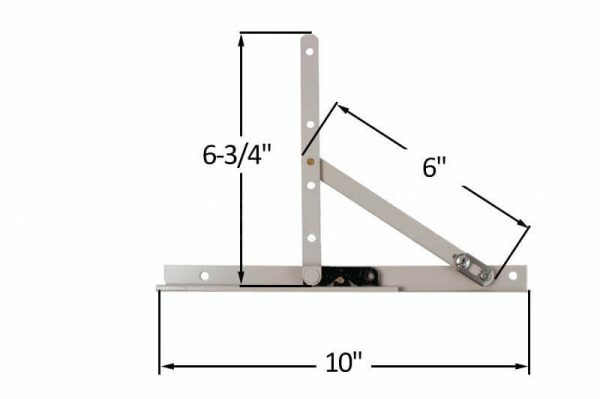 All you have to do is to confirm your hinge measurement. 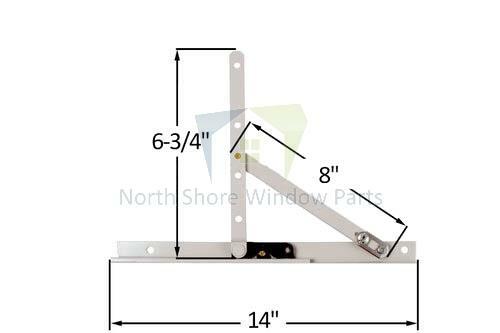 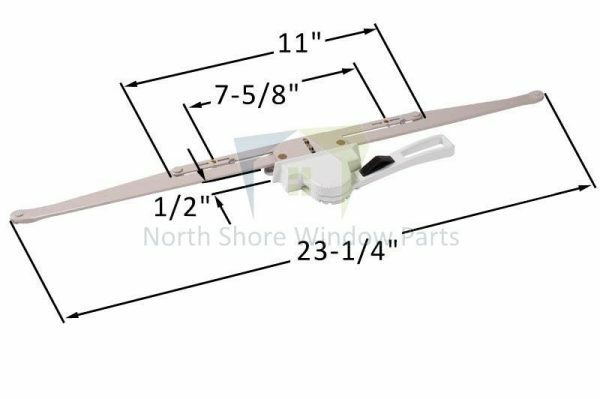 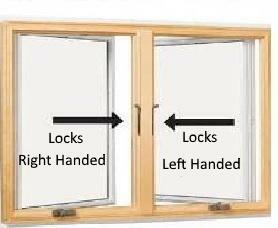 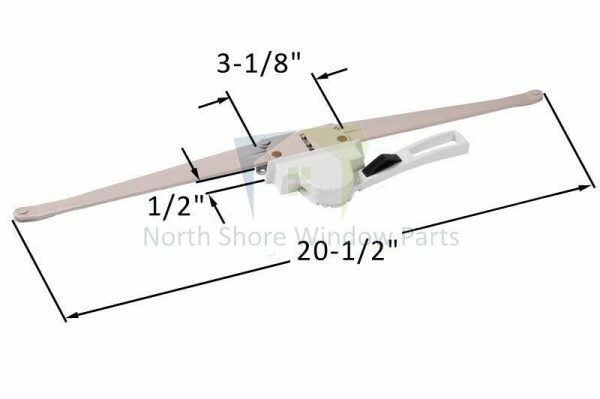 We will ship both Left and Right hinges so you do not have to worry about the side of the hinges you want to replace.